I am a strong believer in anecdotal evidence and citizen science. I have a story from the local community of Makara where Pam and I keep our horses. We heard from a local who lives on the beach. His house was condemned because it was basically destroyed by ex-cyclone Gita in February, 2018. Now, with 5 days left until he moves out from his property he has completely run out of water. Fortunately the owner of the land where we kept our horses offered him some water from the stream that runs through the property. 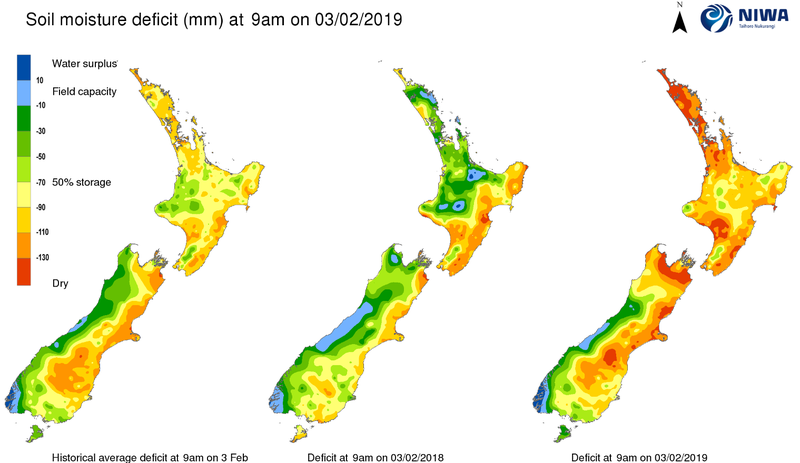 Another Makara neighbour has discovered his rain tank is completely empty and has gone over to town supply. 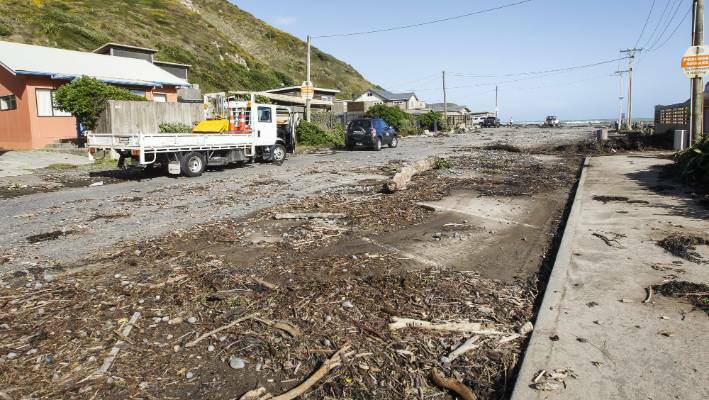 Just a few weeks ago I thought things looked better than they had and we might might avoid the worst in Makara this year. However, the above story and the state of our stream (one of my litmus tests) has persuaded me otherwise. The first photo was from last year which was very dry. Now compare it with this taken looking in the opposite direction (because of the shade from setting sun. In the public discourse on cliamte change there is little mention of drought (until crisis I upon us) any more than there is of the speed and severity of the problem. Official statistics tend to hide the nature and severity of the problem. The high rainfall within the Rai and Pelorus catchments is essential to the surrounding communities, providing irrigation and recreation. Rai farmers contend with a high annual rainfall of about 2m that can saturate paddocks, with run-off ending up in the river. They have the added problem of substantial flooding along the valley floor, also affecting water quality. A number of fish have shown up dead as a result of drying up riverbeds in the wider Marlborough region. It comes after concerns from Fish and Game Nelson Marlborough earlier this week over the effects of warmer temperatures on freshwater species. Fish and Game regional manager Rhys Barrier told 1 NEWS as water levels recede, fish are becoming trapped in small pools of water with nowhere to go. "26C will end up killing brown trout if they're in it too long," Mr Barrier said. 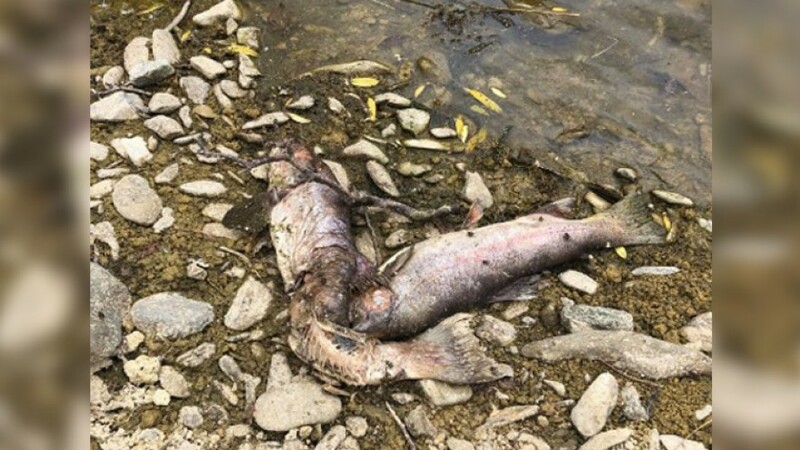 On Friday, Fish and Game staff visited the Opouri tributary of the Rai River, where they spotted several dead fish which were being "cleaned up" by hawks and shags. The Rai River has been below its minimum flow levels for the past week. 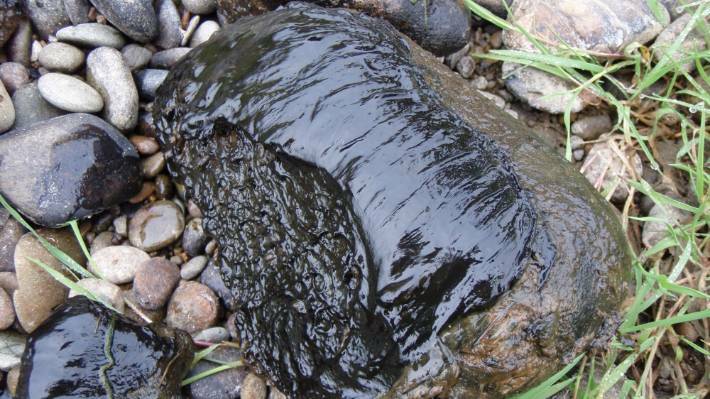 Toxic to people and fatal to dogs, toxic algae is blooming in the Wellington region's rivers. It is more deadly than cobra venom and it has returned to the Wellington region's rivers. Toxic algae has pushed some of the region's rivers over the safe swimming limit and the Greater Wellington Regional Council says people should stay out of some altogether. 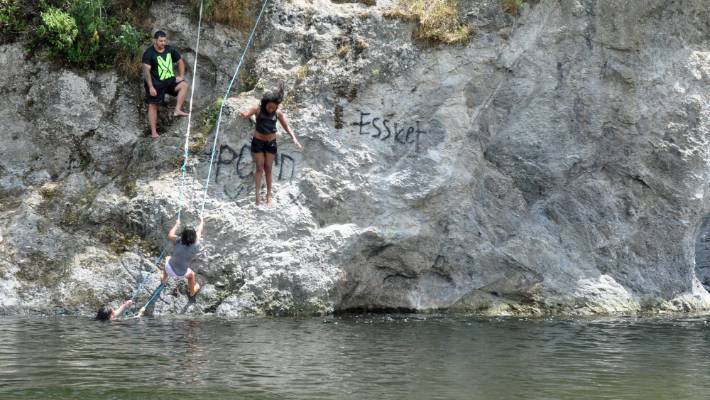 Swimmers should avoid the Hutt River between Moonshine Bridge and Fairway Drive Bridge, and the Pakuratahi River from SH2 to its confluence with the Hutt River in Kaitoke Regional Park, the council says. Children should be kept away from water in these sites and dogs should be kept on a lead. It becomes dangerous when it comes loose from the riverbed and brown or black mats wash up on the banks or form floating rafts. A coin sized piece of algae could kill a 20kg dog. 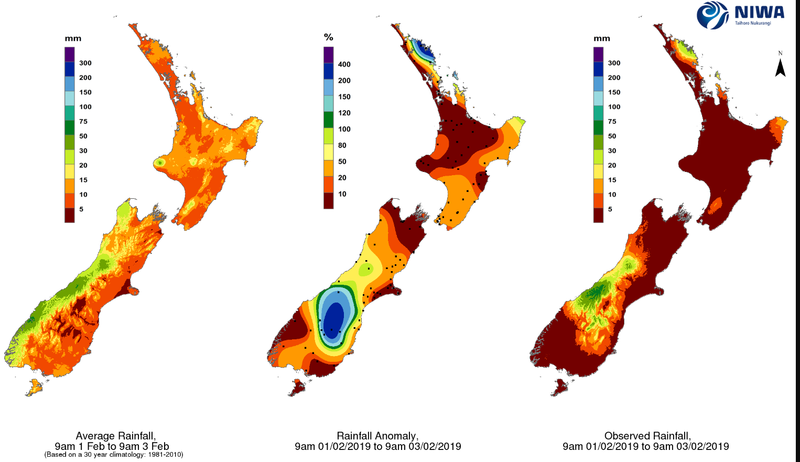 Toxic algae cover is also rising at Greater Wellington's Waipoua, Waingawa and Ruamahanga river monitoring sites in Wairarapa, and in the Otaki and Waikanae rivers in Kāpiti, although these sites are currently below the council's "no swim" trigger levels. Senior Environmental Scientist Mark Heath said no detached mats of toxic algae had yet been seen at any of the monitored sites. 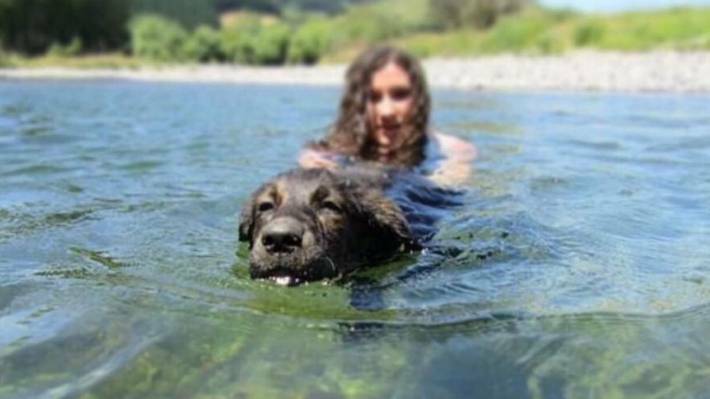 Swimmers and dogs should keep away from sections of the Hutt River. "However this could change rapidly, especially during warm weather, so we are urging people to be careful near all waterways throughout the region." The algae was more deadly than cobra venom. Given the rapid growth of toxic algae, and its potential change in coverage between weekly monitoring points, the council urged people to know learn it looks like. They should check information signs around popular swimming holes and visit Greater Wellington's Is it Safe to Swim? website and Facebook page for more information about toxic algae, as well as images. Kāpiti Coast: The Ōtaki and Waikanae Rivers both remain below guideline levels at approximately 5 per cent cover but council monitoring officers have noticed a significant increase in toxic algae coverage (approximately 15 per cent) and it has become concentrated in some areas. Hutt River: Toxic algae exceed the 20 per cent cover guideline level at the Silverstream Bridge site. All other monitoring sites were below guideline levels. Ruamahanga River: Toxic algae cover is at approximately 10 per cent cover at the Waipoua and Waingawa monitoring sites, while toxic algae at Ruamahanga River sites are at approximately 5 per cent cover. Pakuratahi River: The Pakuratahi River at Kaitoke Forest Park has a significant toxic algal bloom (20 per cent cover). Waipapa Stream: The Waipapa Stream near Red Rocks on Wellington's South Coast also has a significant bloom. Work on the exit of New Zealand from the environmental crisis. Quotes: "The river bed dries up, and in the middle of New Zealand runs out of water." New Zealand: "The water ends in Makar." "Swimmers warned them to take care of toxic algae found in the Wellington Rivers." The first. Cooling the territory of Australia and New Zealand, and the surrounding water space. Reducing wind speed in Australia by 60%. Termination of forest fires - and an increase in Australian forests from 16% to 32% due to planting tree seedlings. Работы по выходу Новой Зеландии из экологического кризиса. Цитаты: «Русло реки высыхает, и в средней части Новой Зеландии заканчиваются запасы воды». Новая Зеландия: «Заканчивается вода в Макаре». «Пловцы предупредили, чтобы они позаботились о токсичных водорослях, обнаруженных в реках Веллингтона». Первое. Охлаждение территории Австралии и Новой Зеландии, и окружающего их водного пространства. Уменьшение скорости ветров в Австралии на 60%. Прекращение лесных пожаров – и увеличение лесов Австралии с 16% - до 32% за счёт посадки саженцев деревьев.